You may recall that I did portraits for this couple a couple of months ago. 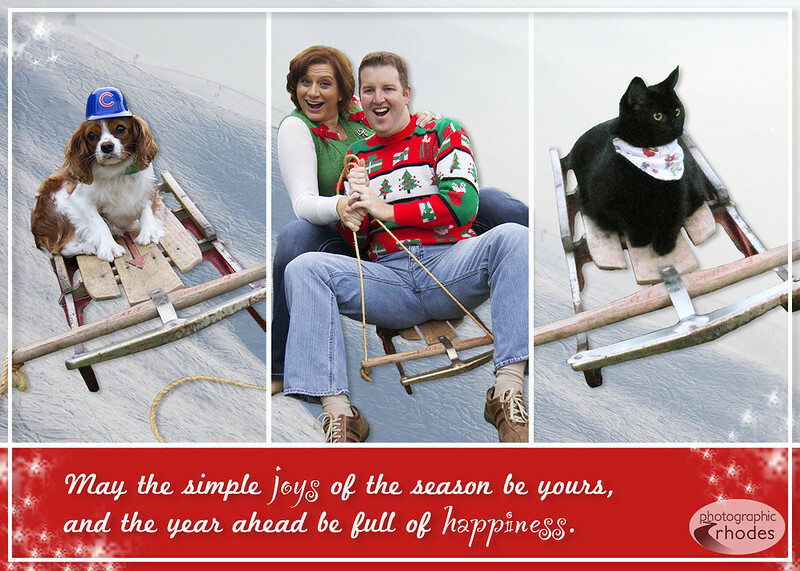 At the end of the photo session, they broke out their “ugly Christmas sweaters” and an antique sled for some fun Christmas card photos. 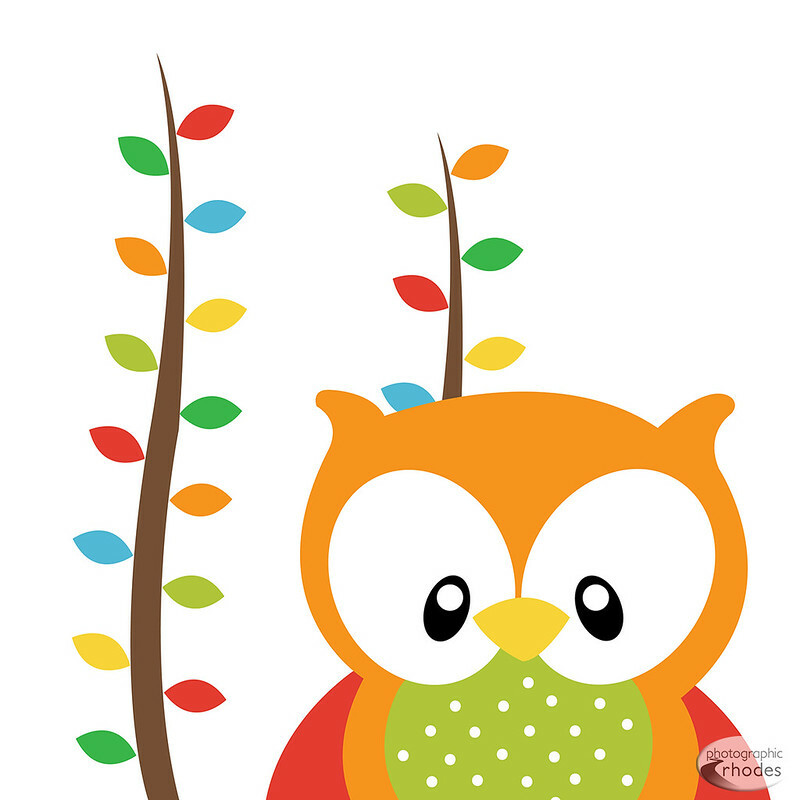 Unfortunately (or fortunately, since it was October) there was no snow on the ground. After a bit of work in Photoshop, this is the card I developed for them. I love their fun-loving spirits and creativity! Over the last couple of months I’ve done a couple of freelance design projects for the Phillips Theological Seminary in Tulsa, Oklahoma. The great part is that I can work on a design project for you no matter where you’re located. With a little bit of background information, a logo, and some branding guidelines, I was able to create an invitation and several ads for my client. Check them out below. 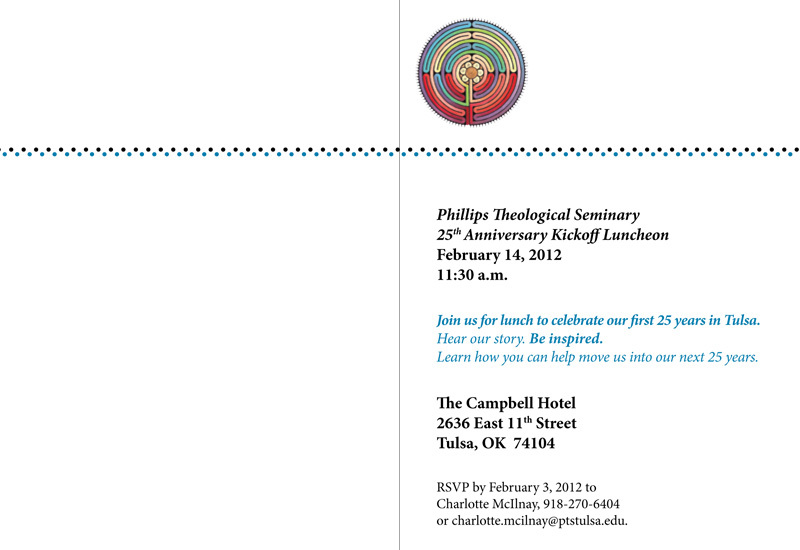 Front and back of a 5.5 x 8.5 fold-over invitation for the Phillips Theological Seminary 25th Anniversary Kickoff Luncheon. 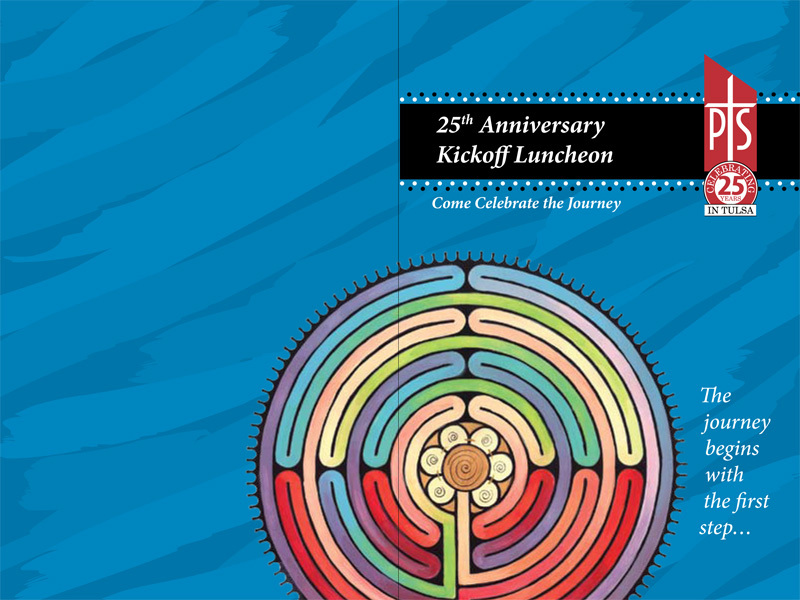 Inside of the PTS 25th Anniversary Kickoff Luncheon invitation. 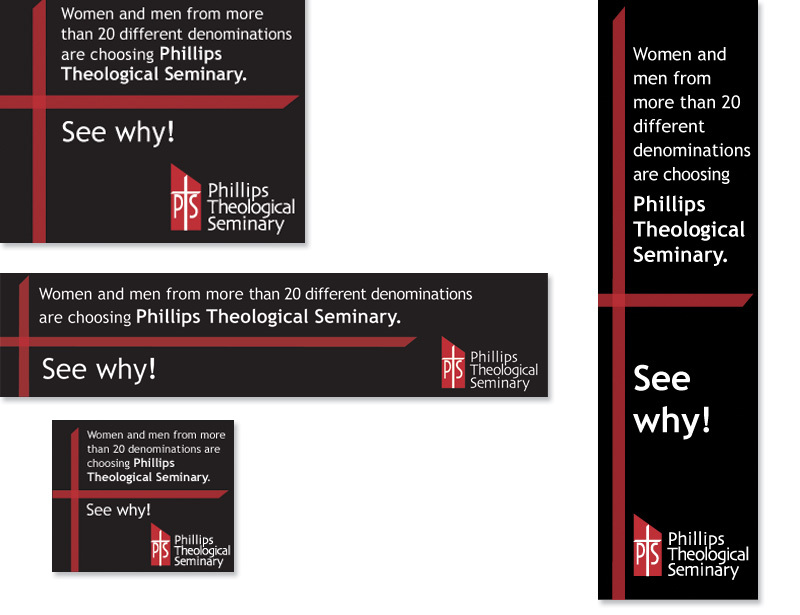 Online ads I created for the Phillips Theological Seminary. 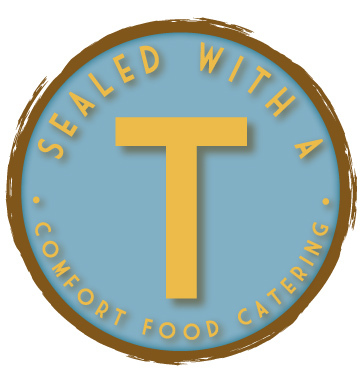 I recently designed a logo for my friend Tekia, an up-and-coming comfort food caterer in Kansas City. I met with her to discuss ideas, inspiration, colors, and wording before coming up with a few rough samples to choose from. 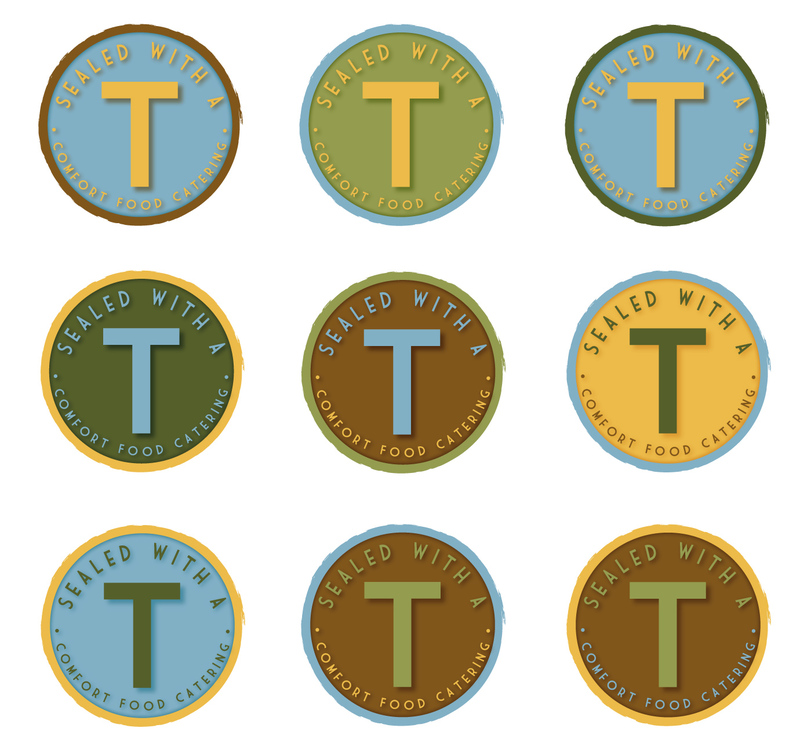 Next, she narrowed down the fonts, colors, and design details she liked. 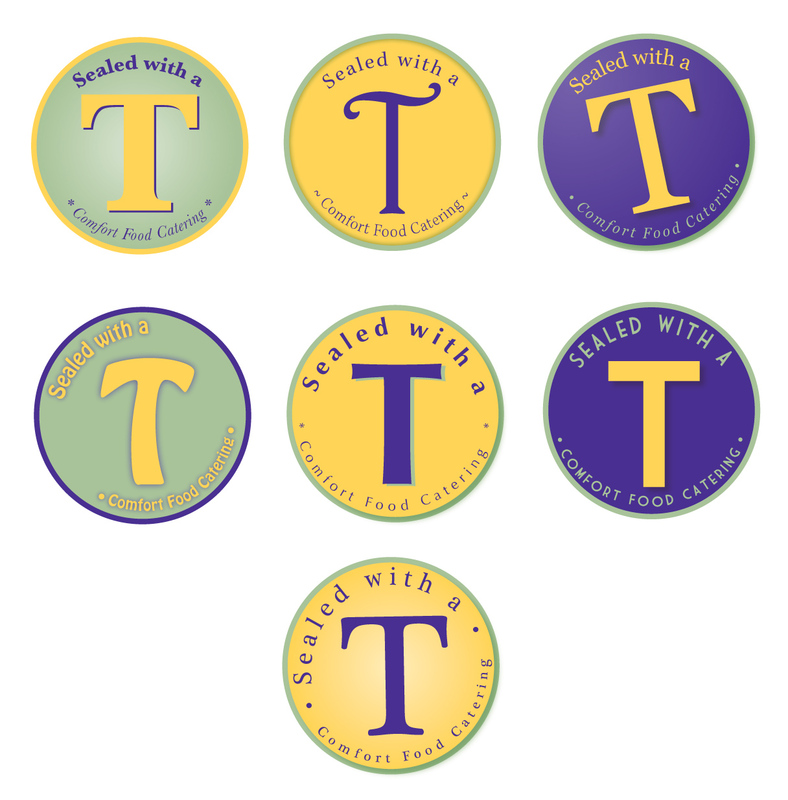 A few proofs later, she chose this design! 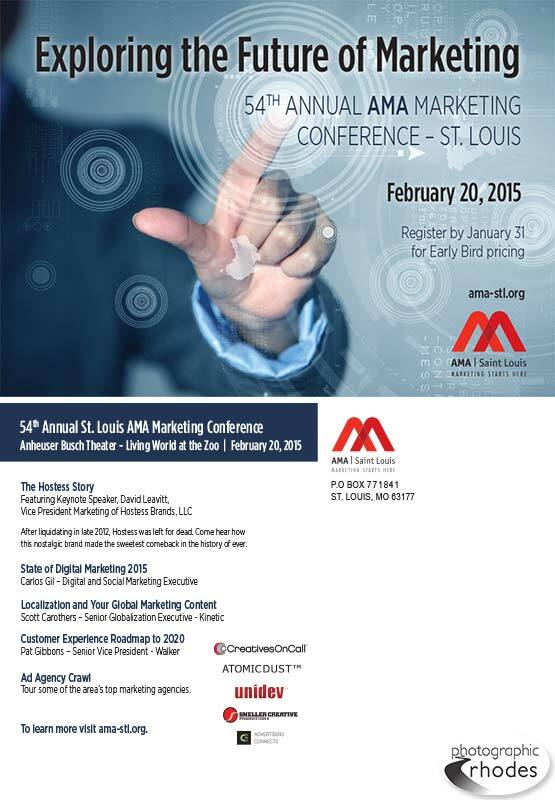 Contact me if you’d like help with your design project. Broadway United Methodist Church in Kansas City, Mo. 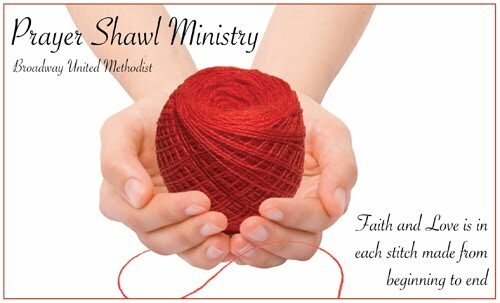 offers a unique prayer shawl ministry. 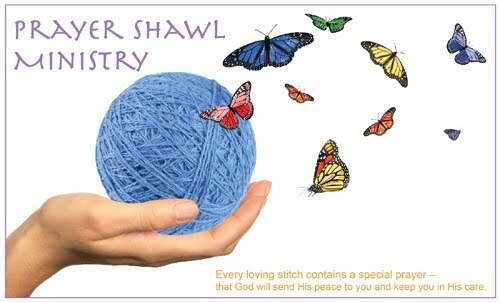 Volunteers at the church sitch prayer shawls and prayer pockets to give to those in need of prayer – whether it be after the loss of a loved one, during and after surgery, or even after giving birth. 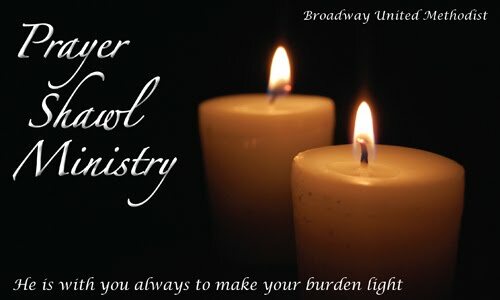 I had the pleasure of working with Joyce at Broadway UMC to create a few note card designs to give with the prayer shawls. 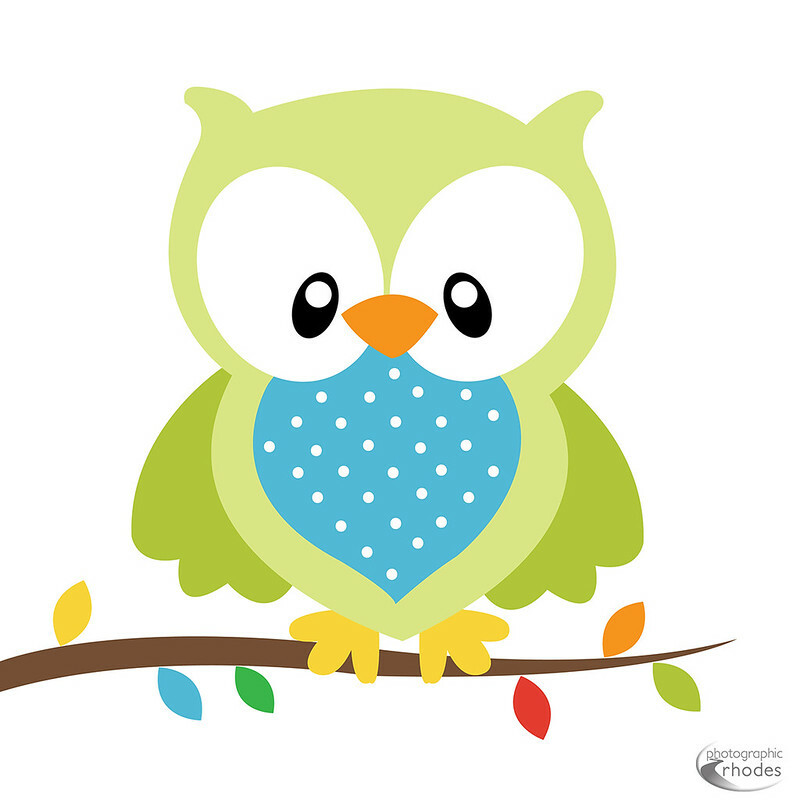 Below are three designs for the front of the note cards.